Set in the near future, a DROP of LIFE is the story of two women, a village teacher in rural India, and an African American corporate executive, whose disparate lives intersect when they are both confronted with lack of access to clean drinking water. Kantayya Shalini finished in the top 10 out of 12,000 filmmakers on Fox’s On the Lot, a show by Steven Spielberg in search of Hollywood’s next great director. 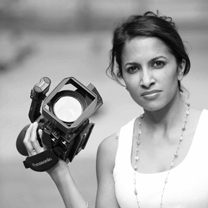 A William D. Fulbright Scholar, Shalini has received recognition from IFP Spotlight on Documentary, Jerome Hill Centennial, and New York Women in Film and Television. She is a Sundance Fellow, a TED Fellow, and was a finalist for the ABC | Disney Directing Program. a DROP of LIFE won Best Short at Palm Beach International, a Crystal Dior Nomination at Tokyo Shorts, and was broadcast on national television in India and the US. The film was used as a tool to organize for water rights in 40 villages across Africa — making a real-world impact.